Puppets are a great tool everyone can use to stretch their imagination. Puppets can be made using any supplies you like. You can experiment with socks, gloves, household packages, and just about anything else. If you want to be one of the first to know when new craft projects are posted, take a few moments to sign up for the Family Crafts Newsletter. 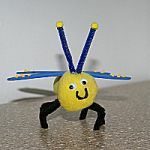 Learn how you can make an assortment of finger puppets that look like cute bugs. Of course, you can also make scary looking bugs or ugly bugs if you like. You can recycle a cd, a paper plate, and a sock to create fun and unique flower puppets. Follow these directions, and you can craft a duck finger puppet using an empty film container or pill bottle. Grab a paper plate, some gray paper, and some gray paint, and you can make one of these cute elephant face puppets. This tutorial shows you how to craft a lion out of pom-poms and chenille stems. Make a cute lion finger puppet, and then you can try making different animals. Like the duck finger puppet above, this person finger puppet is made using a pill bottle or film container. This video shows you how to make a miniature puppet theater out of a picture frame. This how-to video will teach you how to turn an ordinary doll or stuffed animal into a fancy marionette. 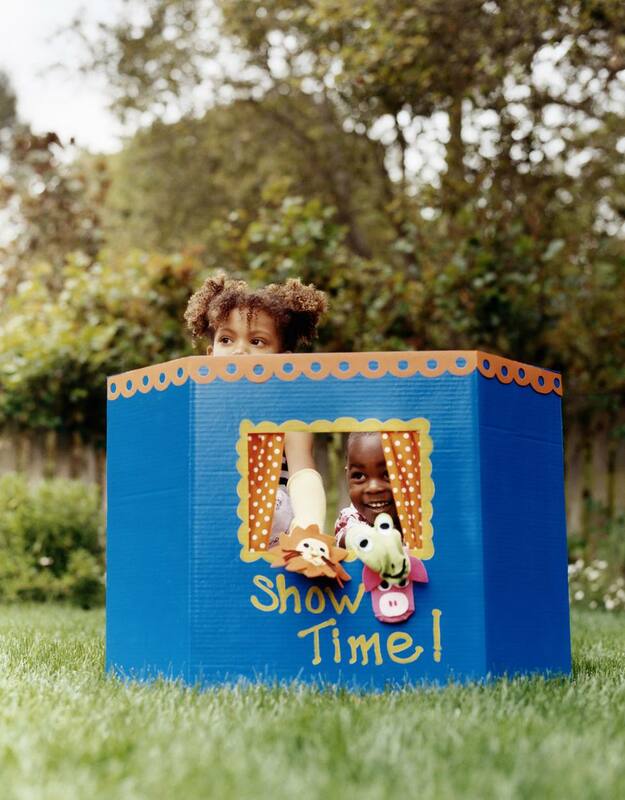 Learn how to make a large puppet theater out of a cardboard box by watching this craft video. Watch this video and discover how you can make different finger puppets using felt. A visitor named Kathryn shares directions for crafting a puppet out of an old glove. All you need to make this fun puppet is a clean sock, some glue, and a handful of craft supplies. For this puppet, I used yarn, wiggle eyes, a chenille stem, a pom-pom, and some felt. The pick cheeks were made using a little bit of chalk.